Today I thought we would do a little something different. 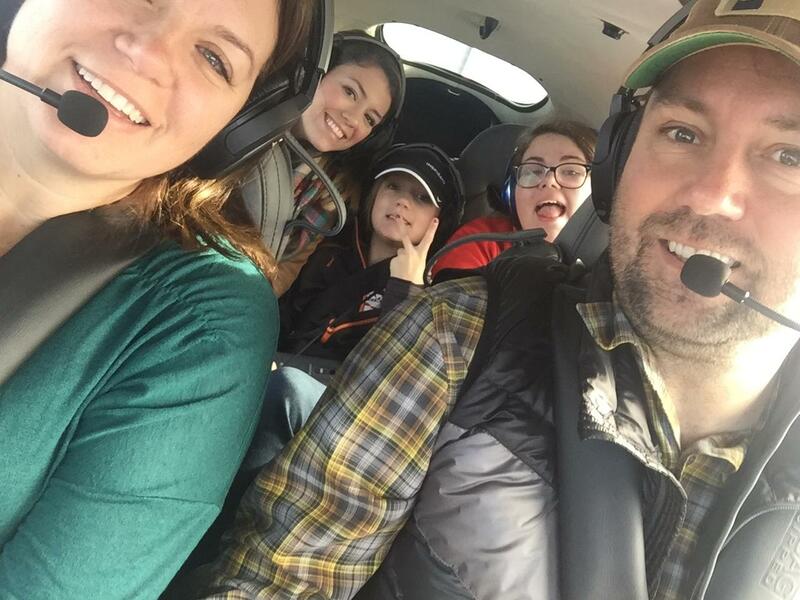 Rather than writing a blog for the person sitting in the pilot’s seat, I thought I would write something for the people sitting in the passenger seat or in the back, this one is for y’all. In all honesty, I don’t know a whole lot about the in’s and the out’s of aviation, but what I do know is how it has impacted my life heavily over the last seven or eight years. What I also know very well, is what it feels like to be the person sitting in the passenger seat or in the back of the plane not really knowing what’s going on, but hoping that everything is alright. For those of you who don’t know me - Hi my name is Avery Oetjen; I am the Marketing Coordinator at Sparkchasers and I am also the oldest daughter of Ron and Jenna Oetjen, who most of you know very well. My dad, Ron Oetjen, is a pilot just like our customers at Sparkchasers and our family has been involved in aviation for a while. See, my dad is a man that is always looking for his next challenge, the next thing that he can learn, the next thing that he can get better at - so about 5 years ago, he set his mind to getting his pilot’s licence and his instrument rating. We were all kind of excited about it - who doesn’t want to avoid having our schedules heavily dominated by Delta Airlines, being patted down because you had a pair of tweezers in your carry-on, and buying $12 bottles of water at the airport. My dad used to fly commercially all the time for business and he was gone a lot longer than he should have been because of it. After he became a pilot, what used to be 4 day trips to Ohio turned into overnight trips. What used to be a 12 hour drive turned into a 3.5 hour flight, and not a flight dictated by Delta, a flight dictated by us and our schedule. That changed everything. General Aviation allows pilots and families the freedom to be on their own schedule, that is what’s so amazing about it.